WASHINGTON — There will be no major changes this year to rules for dockless bikes and shared electric scooters, the District Department of Transportation said Thursday. DDOT is again extending the pilot program, this time through the end of the year, rather than implementing permanent rules that could see many more of the vehicles permitted across the city. The pilot had most recently been set to expire this weekend. The agency plans to outline plans next month for the longer-term rules that are now scheduled to take effect in January. The new rules will more significantly factor in the electric scooters that have become more common over the last few months. Through the end of the year, companies will continue to be limited to 400 bikes or scooters each, but the long-term rules could allow many more of the bikes or scooters. From September 2017 through June 2018, DDOT said, more than 625,000 trips have been taken in the city on dockless bikes or scooters. In May 2018, the agency said, more than 55,000 individual users took a total of more than 140,000 trips. In a new addition to the rules, bikes will have to be locked to a bike rack or other post when a user leaves them. That is already how Uber’s electrified JUMP bikes work, and they are the only company still operating a significant number of dockless bikes in the city. The rule comes after DDOT received complaints about some bikes that were left blocking sidewalks, but the bike designs of the other companies that had put bikes in the District would not be able to follow it. 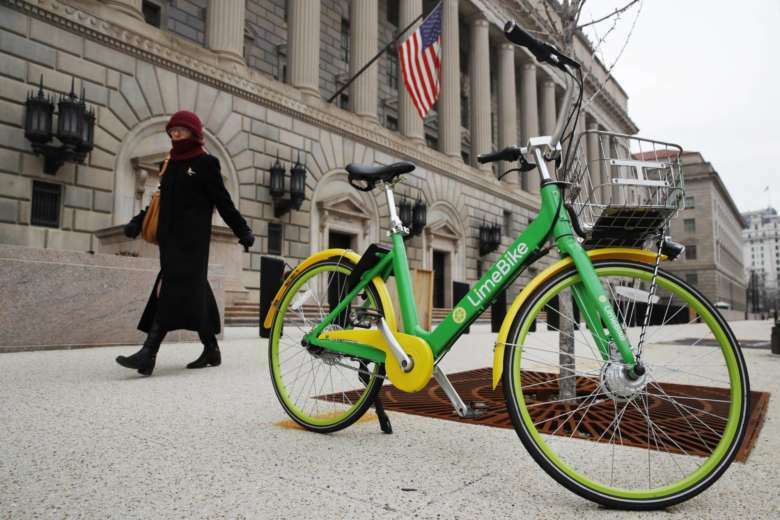 LimeBikes, for example, some of which are still around the city, could not be locked to a bike rack without modifications to the way they operate.